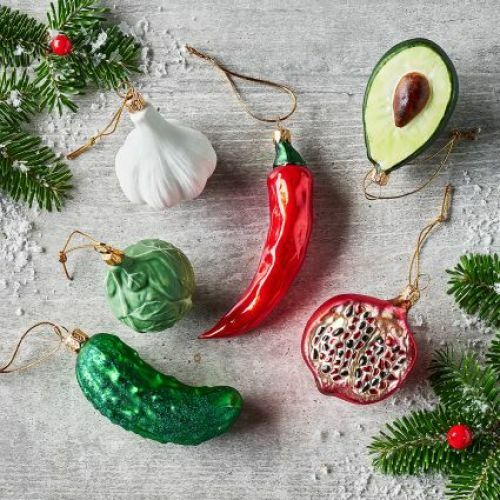 Feast your eyes — these gourmet ornaments are putting tinsel and angels out of style! If you're anything like us, you want to decorate your Christmas tree to impress. Enough with the same angels and ball ornaments that you use year after year! Sur La Table is offering many delightful, hand-made Christmas ornaments that celebrate the art of cooking. You can have your pick of pickles and pomegranates — or, how about a chili pepper to spice things up this holiday season?